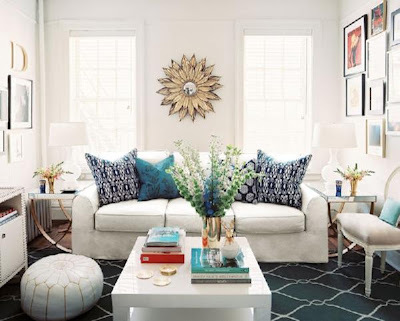 Dwell by Cheryl: Let the Sunshine In! 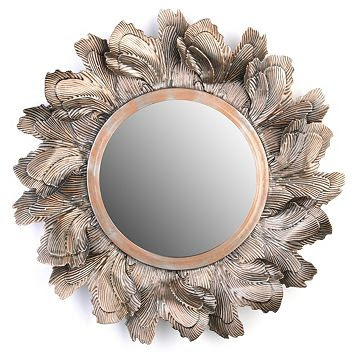 I mentioned in the Dwell by Cheryl (DBC) preview post that I was really in love with sunburst mirrors. 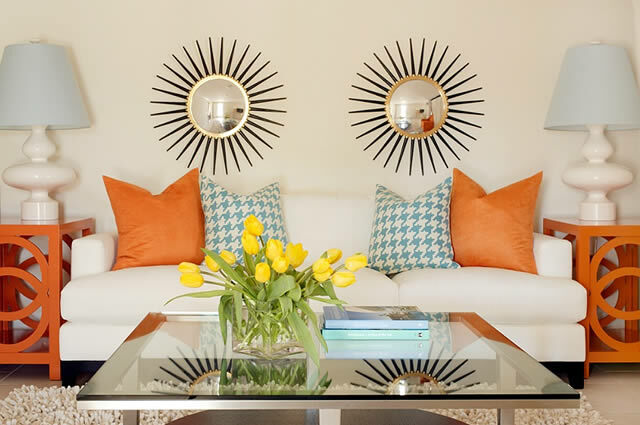 I’m just amazed by the options and the impact that a sunburst mirror provides. They’re slowly becoming one of my signature decorative items. What I like most is the fact that you can find them everywhere from Frontgate to Family Dollar. Yes, I said Family Dollar. I don’t discriminate. You’d be surprised what you can turn up if you don’t box yourself in to specific retailers. I’ve already used them in three spaces so far. ﻿This one’s on sale now at Kirkland’s (In stores only). I love the texture the leaf motif creates. I think it would do wonders for a ho-hum neutral wall. ﻿This one is a DIY project made out of poster board. I mean, really? Amazing! 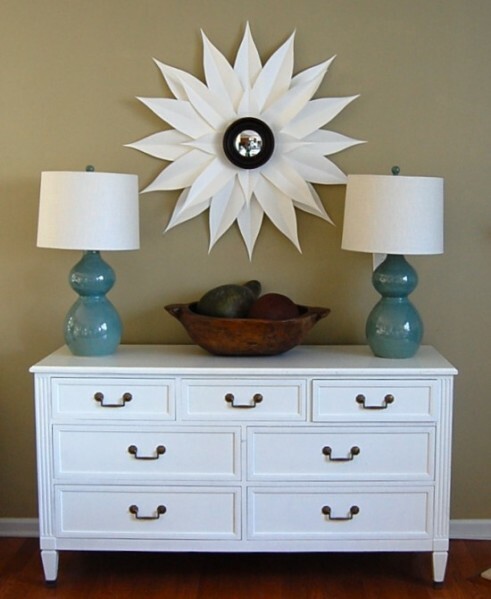 Use a pair to create symmetry alongside matching table lamps. Also, great between two windows. They even work in a grouping. You just gotta love a sunburst mirror. It’s cold outside (for most of us), you may as well let the sunshine in.